When it comes to a scuba dive computer, there are some devices that are ideal for professionals with a vast amount of advanced features. However, if you are looking for a dive computer for beginners, you will want one that is at an entry level. The best dive computer for is the Suunto D4i Novo, which features a full continuous decompression algorithm, various modes and firmware updates. The best dive computer for beginners is the Suunto Zoop Novo, which is not over complicated and has an intuitive interface and alarms for maximum depth and dive times. Using a dive watch to monitor certain aspects of the dive will allow you to concentrate on scuba diving itself and push yourself further. As a beginner, it may be tempting to buy the best possible example of a dive watch with a range of functionality. However, we strongly advise the opposite and go for an entry level dive computer and then update it once you become more experienced. Factors such as the price, durability and ease of use are things you should be asking yourself before purchasing a dive computer. They are not the cheapest devices, so you want it to last many years but also be easy to use whilst you are diving. As technology has advanced over the years, dive computers have become far more sophisticated than the old analogue computer in the 90’s. Below is a list of the best dive computers that are suitable for both beginners and experienced divers. Overall, the Suunto D4i Novo dive computer is a trendy and easy to use watch full of functionality. It is the best dive computer for beginners and experienced divers, which means is can be your “go-to” dive computer for years to come. The Cressi Leonardo is the best dive computer for the money and with a single button, its fairly easy to use when underwater and wearing all your scuba diving equipment. It is an entry level dive computer and would be great for beginners to try before upgrading to the more expensive models. Overall, the Cosmiq+ is suited toward technical divers that need to see multiple metrics at a quick glance. It is the best wireless dive computer and for those that like to integrate their dive data within their social media networks, the DeepBlu can make this happen automatically. Overall, the Suunto Zoop Novo is the best dive computer for beginners with an easy to use interface, excellent functionality and not over complicated. There are other cheap dive computer alternatives but if you want a device that will last and developed by one of the leading brands, then the Zoop Novo is the one to go for. Overall, considering that its an affordable dive computer, you do get a fair amount of features to play around with. It would be nice to have more color options and a less chunky watch construction but its a fraction of the cost compared with the others. It is the best budget dive computer you will be able to find and features more than the average entry level alternative. One of the very first things most divers around the world buy is the dive computer which is essential equipment to ensure your safety is not compromised. A dive computer can provide you with vital information you need to ensure safe diving in real-time, taking away the use of a dive table, a dive gauge and a depth watch to know necessary calculations like safe diving time and decompression time. It provides you with one convenient equipment subsequently allowing you to concentrate more of your time enjoying the dive rather than the calculation of your safety. Below is our buying guide to help you with your buying decision. Dive computers have a depth sensor and a timer which calculate how fast your body is taking in gases using an algorithm inside them. The computer continually monitors your time and depth with the speedier absorption of gases happening the more in-depth and longer you stay in the water. Dive computers have alarms that notify you when you are ascending too quickly if you are going too deep and with the integrated computer even able to let you know how long you have before your air is finished. While ascending, dive computers automatically go into safety stop informing you what depths to stay and for how long. Majority of these computers have an alarm to notify you if you are doing something wrong be it staying down for too long or ascending swiftly thereby allowing you to concentrate more on your dive. The price of dive computers ranges between 150 USD to 1,500 USD. For recreational use only, there is no need to spend more than 500 USD since there are various great models that you would even pay less. However, if you want a technical computer containing air integration, you will have to pay more. 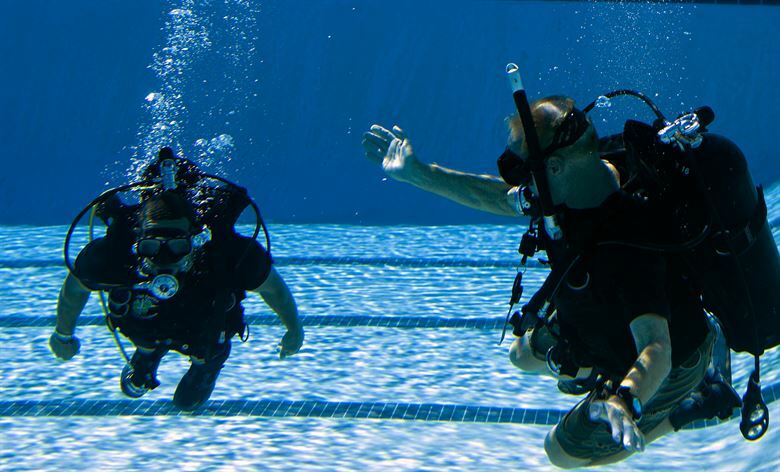 Skilled people and serious divers want to buy the best dive computers which have air integration capability, and only newcomers with sufficient budget are willing to start with air integration. Generally, the more expensive dive computers are more versatile with algorithms, navigation settings, and gas mixes. Therefore, the more customizable the computer, the more expensive it is and you pay a premium for the air system integration. By putting in information such as time, pressure and depth into an algorithm, the dive computer can understand the no-decompression schedules and dive time, with others coming with multiple algorithms on identical models. There are numerous algorithms used with each having its bias, that is, they are either more or less conservative thus they take either more extended stops or shorter stops. 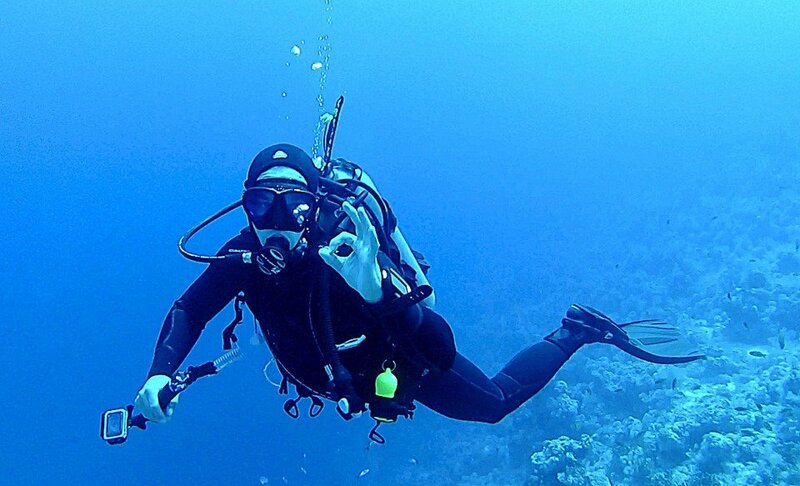 It applies to their dive time allowances and no-fly recommendations, therefore when deciding on a dive computer, get to understand each model’s relative conservatism. For the less experienced divers, you should start out with a conservative computer since taking chances while still, a beginner is very risky, with some expert divers to preferring conservative algorithms. Individuals prone to decompression illness, it is advised to use the conservative algorithms regardless of experience level. Finally, great dive computers avail divers with multiple algorithm options to choose from. Some dive computers are independently working on their own and only replace a few pieces of your dive computer such as compass and depth gauge. However, they do not connect to your air system, and these type of computers are best for recreational users. For the skilled divers, the integrated dive computers which are more technical are the best option to choose. These computers connect to your air supply and regulator; thus it can keep track of the amount of air in your tank and give you accurate calculations. Before acquiring a dive computer, you must first carry out a self-evaluation on yourself mainly on your diving habits and experience level. With this in mind, you can now test out various computers on rental and get to know and understand your preference before purchasing a personal computer. The evolution of technology has seen dive computers from offering just necessary decompression calculations to other additional features that improve your dive, making it more fun, safer and more relaxed. Below are some of the essential elements. This one of the most critical issues you should consider before purchasing a computer, with the display providing you with all the necessary information you will need in the dive. Additionally, the screen should be accurately and efficiently read which is critical for your safety. When picking a display, you should consider if it has a backlight, the size, and type of its letters, with the display types being a color display, dot matrix display and segmented display. Display size – It is especially important if you are planning to dive into regions with low light visibility or your eyesight is slowly declining. Backlighting -This feature helps you to quickly read the display at night or in low visibility thus not necessitating you to use your flashlight, with this feature becoming basic and almost a requirement if you want divers to buy your computer model. Safety should never be compromised, and alerts are vital to all divers whether a veteran or an amateur. Alarms prove very useful in that they notify you either by flashing of lights or an audible noise that you are approaching crucial dive limits. It is thus essential to read your diver computer manual to get a clear understanding of the meaning of each alarm. Most computers today come with changeable batteries, and this is very important as it provides you with a backup in case your battery dies while on a dive. Changing the battery is simple and takes only a couple of minutes not needing you to make it to a service department subsequently spending lots of money on maintenance costs. Nevertheless, just a few computers come with a watertight battery chamber, and if it is not sealed correctly, water can get in and ruin the dive computer. Most dive computers allow you to analyze your dive history, but the amount of data retrievable varies from one model to another. Thus, when deciding on a dive computer, choose one that stores a decent amount of data on the dives you have made. Majority of the newer model dive computers permit you to download and save the details on your personal computer. Whereas data stored in dive computers might be limited, you can always store the data in your personal computer and free up space in the dive computer. 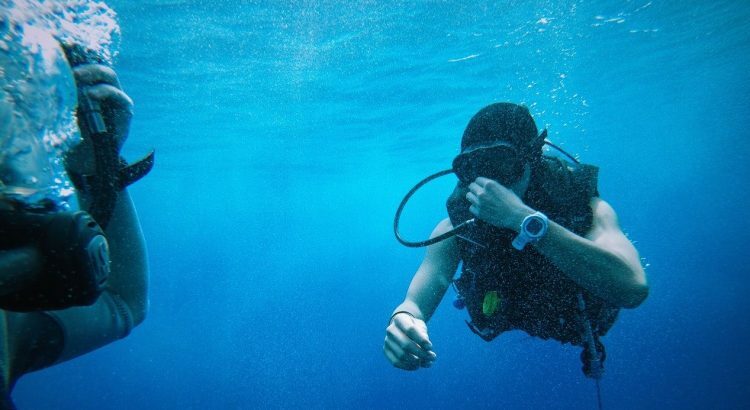 It is an essential part for divers since while on the water, your field of vision is not as visible as when on land thus a compass helps you find your back to your boat or the shore. 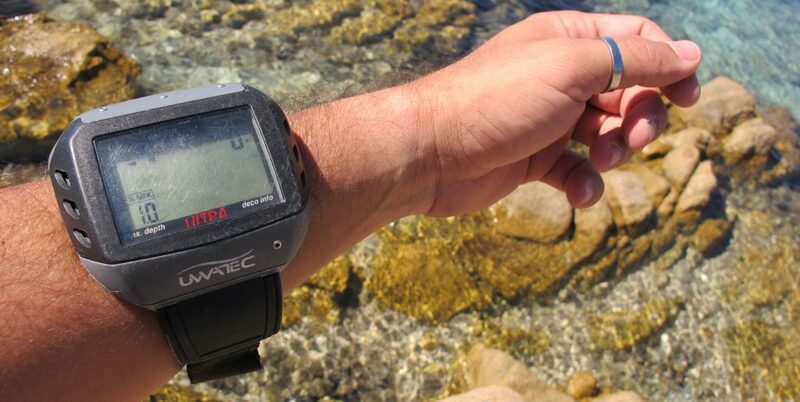 Usually, the compass is placed in the dive computer’s console or worn on the wrist and are digitally able to guide you accurately. Dive computers are either manually or automatically activated, with the latter being preferred since most divers forget to enable their computers after diving thus not able to get their dive details. Introducing a dive computer to your scuba diving equipment will provide you with an array of metrics to check whilst underwater. They come in a range of styles, sizes and features but we recommend that you choose a dive computer based from your experience. For example, if you were a beginner, you should opt for an beginners dive computer and vice versa.